As always, the full Sports Science Monthly is available exclusively to HMMR Plus Members. You can browse the past topics on our archive page. The first topic below is free to everyone, but sign up now to read about all the latest research. To get an idea of what Sports Science Monthly is all about, the April 2016 edition is available in its entirety for free. Do non-responders to caffeine exist – and does it matter? 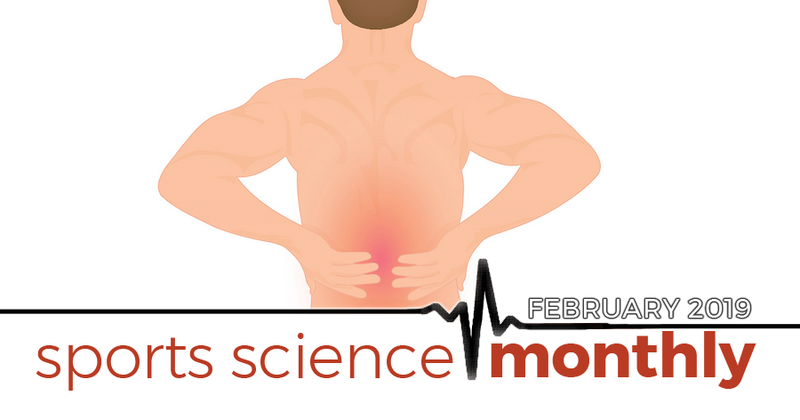 » Quick summary: For lower back pain patients, increased movement can often improve symptoms. This is important to consider with athletes, who are both highly active already, but potentially prone to back pain. The key takeaway is that, when an athlete has back pain, to allow them to undertake movements that do not cause any pain, as opposed to creating fear around movement. Similar to the previous point, over the last decade or so there has been an increased interest in back pain amongst clinicians, driven, in part, by the high numbers of individuals who suffer back pain, either acutely or chronically. What is interesting is that it appears clear that back pain, and pain in general, can loosely be thought of as an emotion, with aspects such as stress, lack of sleep, and anxiety increasing sensations of fear. Additionally, whilst it might seem like a good idea to rest, back pain, and back injuries, often respond well to movement (for a good lay summary of research in back pain in non-athletes, check out this Vox article). As a result, for chronic back pain, movement is considered an important treatment adjunct, as recently summarized in the prestigious medical journal the Lancet. In general, increased incidence of back pain in athletes is associated with increased training loads, but it’s not clear how debilitating this back pain is. Again, in general, being more active is typically associated with less back pain, when back pain occurs. Athletes are prone to common triggers of back pain, such as stress, anxiety, and reduced sleep. Fixing these could help the athlete’s pain, and, conversely, when these aspects are suffering, the athlete could be at an increased risk of back pain. Don’t blame a specific exercise/movement for back pain; demonizing movements is associated with increased levels of chronic back pain. When an athlete has back pain, try to keep them as active as possible. This will likely necessitate pain-free cross training. Explore relationships between self-reported wellness and training load, and back pain flare ups. Is a sudden increase in load, or poor sleep, associated with back pain? If so, it might be useful to adapt this in future. Given the high prevalence of back pain in athletes, and its complexity, I think having some idea as to the intricacies of treatment is important. As someone whose career was curtailed by a chronic back injury, I can see the importance; certainly, there are many things I’d have done differently looking back, but, now, I’m fortunate to be entirely pain free. Back pain tends to creep up on athletes, and has the potential to be highly debilitating, so getting on top of things early is highly important.